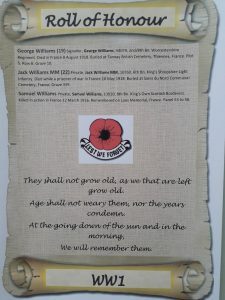 The Parish Council are proud to support the Royal British Legion’s campaign to say Thank You to the First World War generation. 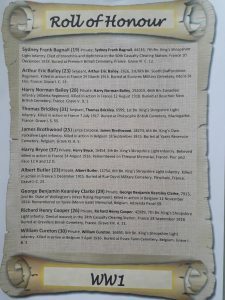 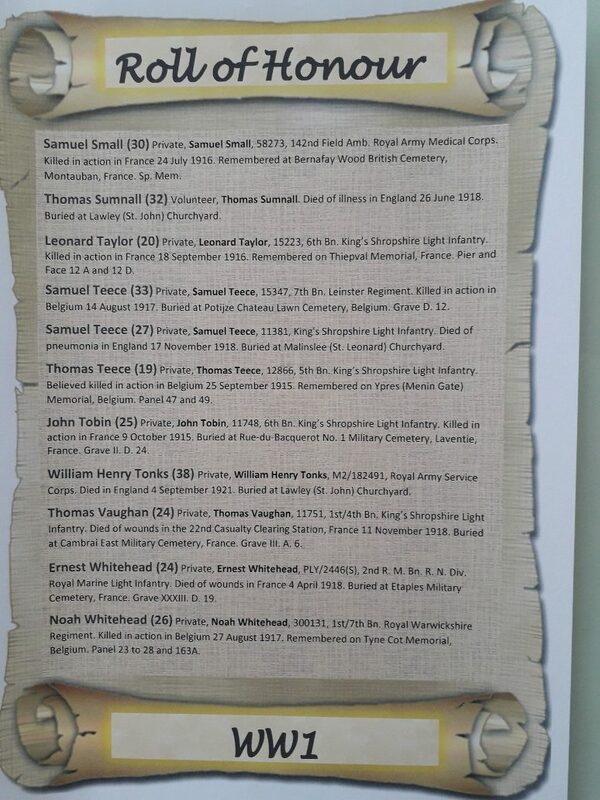 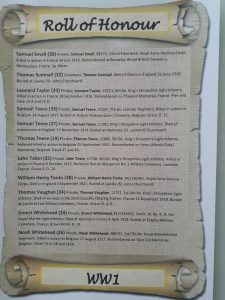 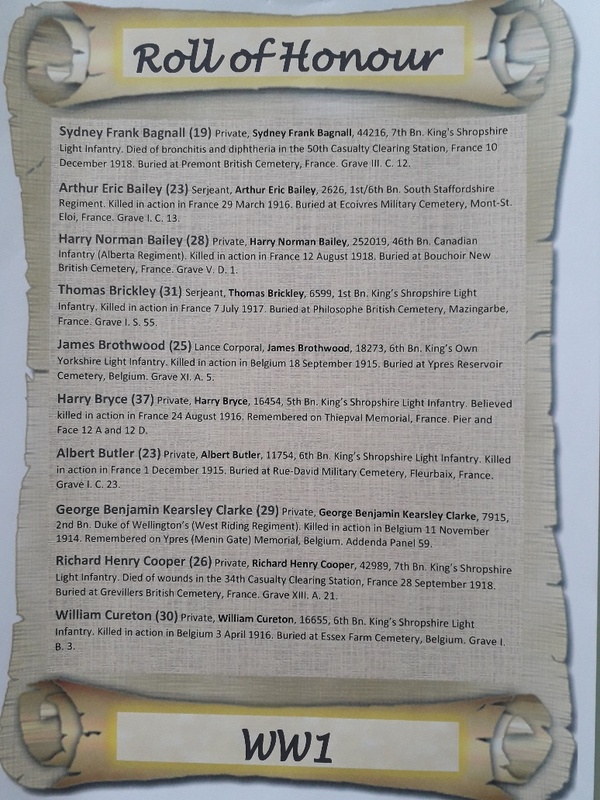 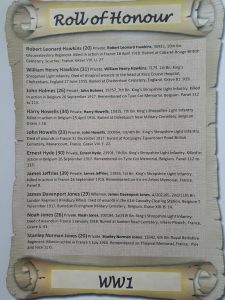 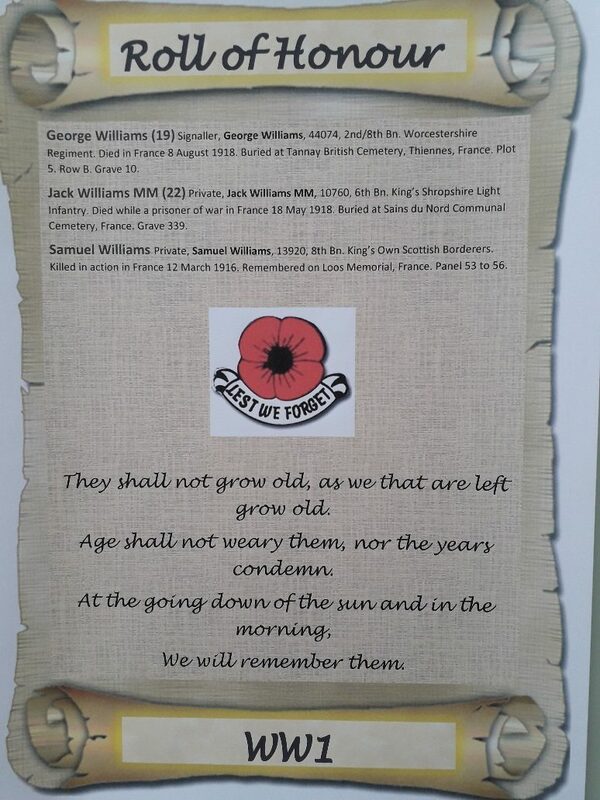 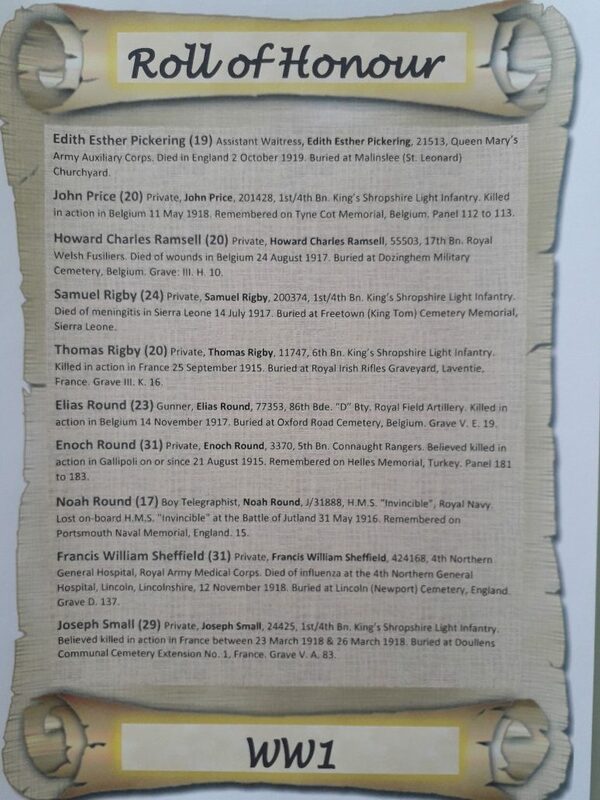 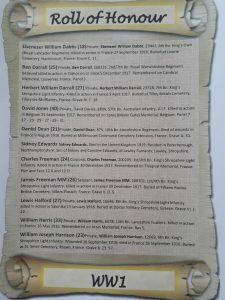 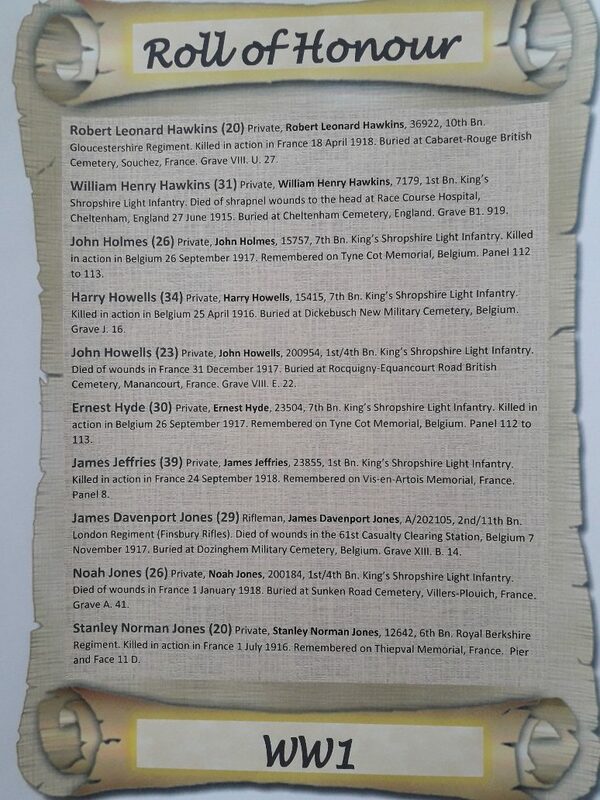 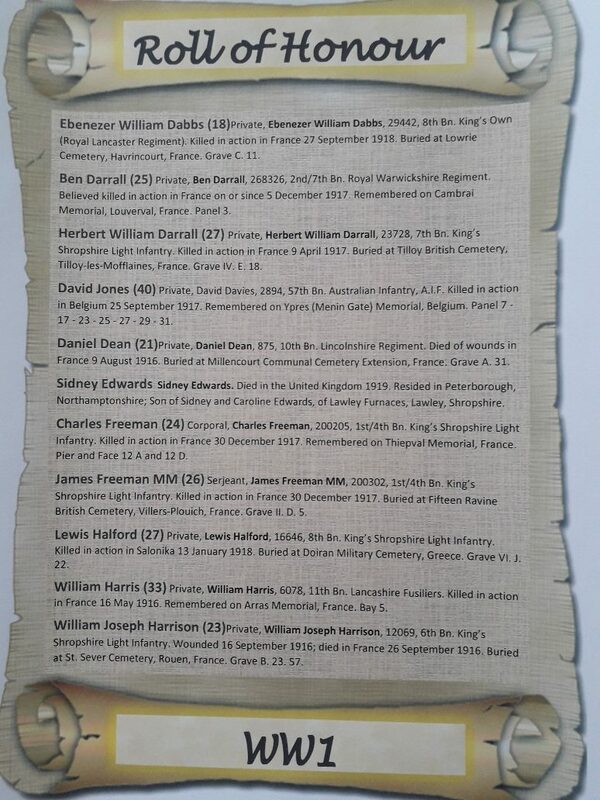 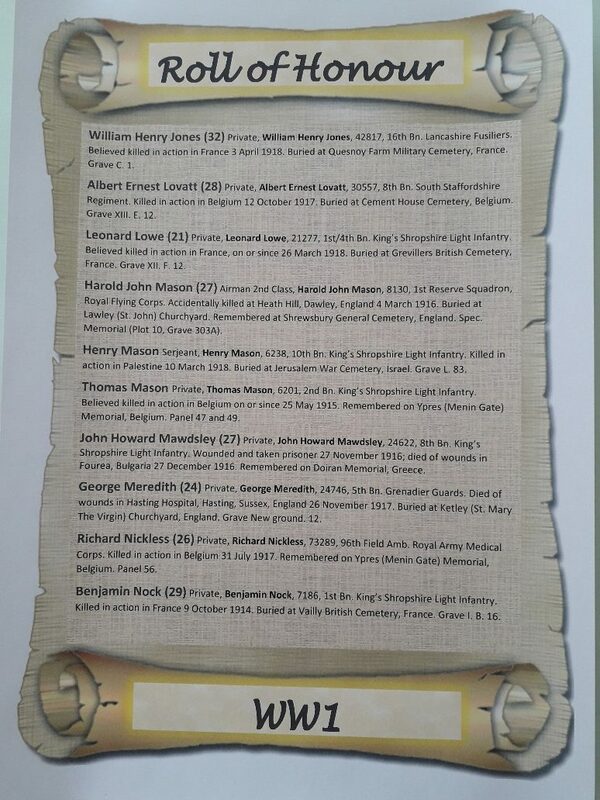 Listed below are the names of the 65 men from the Parish who died in the service of their country in the First World War – click on each picture to read their details. 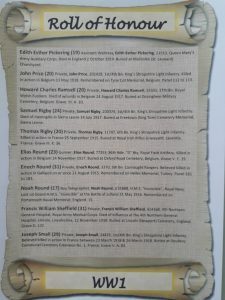 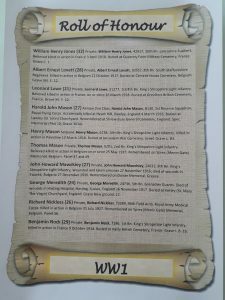 Thanks to local historian Neil Evans, whose research made the Roll of Honour possible.